Treat yourself to a stay at The Island! Finding somewhere that’s comfortable and stylish is a dime a dozen, here at The Island our boutique hotel will tick all your accommodation boxes. We have 98 boutique hotel rooms available, giving you plenty of options to chose from for your stay. 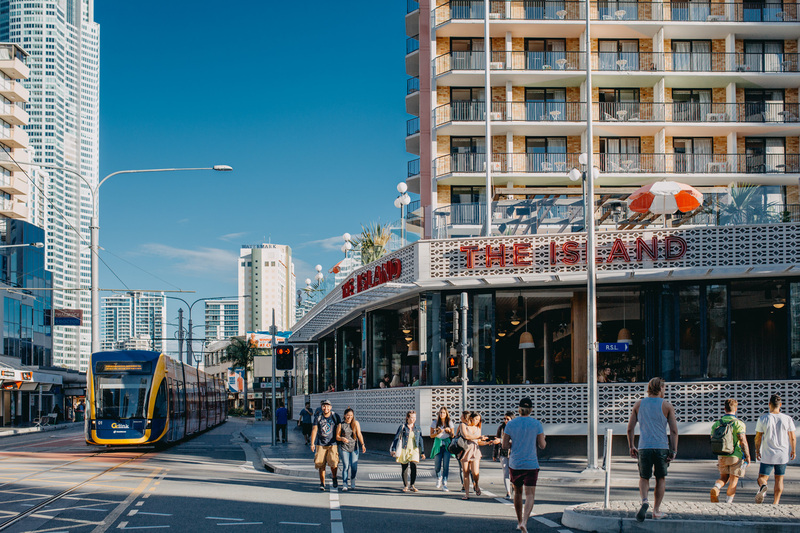 It’s no hidden secret that locals try to stay away from Surfer’s Paradise, but we have something special that you might just like. Our renovated King Suites are perfect for if you’re having a weekend of popping bottles, some much needed R&R or needing somewhere for the visiting relatives to stay. 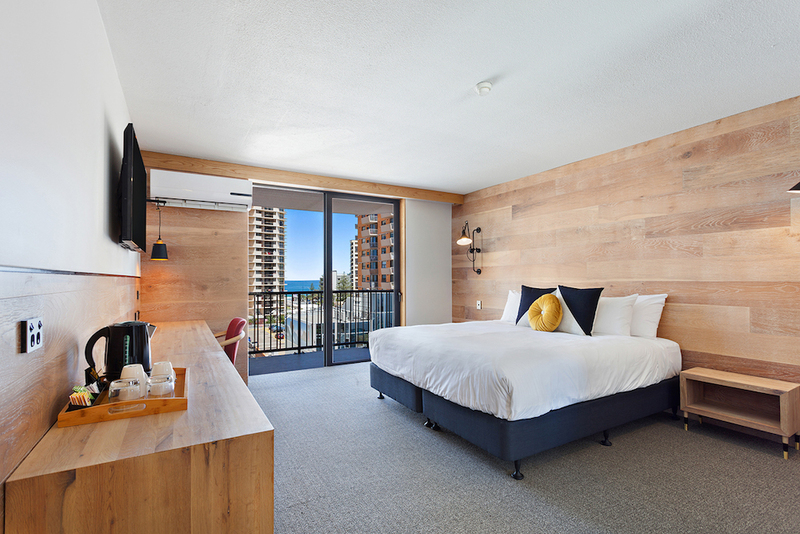 Our King Suites boasts beautiful views from our wonderful glitter strip, Surfer’s Paradise Beach or the glorious Gold Coast Hinterland. The best thing about The Island is you don’t even have to leave if you don’t want! Oh-la-la! Looking for somewhere special to take your significant other, look no further. Organise a bottle of champagne on arrival, and enjoy some bubbles while taking in the beautiful ocean views. Wine and dine your loved one in our wonderful restaurant,, enjoy our Italian inspired menu while relaxing in relaxing ambiance. Heading to the Gold Coast for work or a conference? Lifeless rooms are so yesterday! Retire from a long day of wheeling, dealing and slaying in boutique comfort. The Island is located on the G:Link which will be able to get you to the exhibition centre and most hubs in 15 minutes. BOOK NOW and enjoy a stay at The Island Boutique Hotel.